LAAPOA President Marshall McClain recently wrote a statement regarding “Making Black Lives Matter in Schools,” an anti-police rally co-sponsored by United Teachers of Los Angeles (UTLA), Black Lives Matter, the American Civil Liberties Union and other groups. 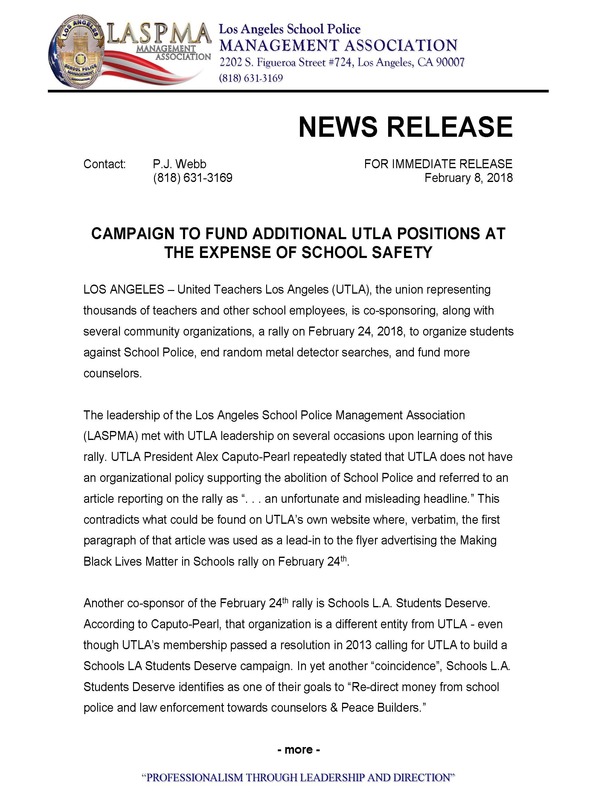 We are proud to report that our statement has been gaining traction in the media and among other unions that support Los Angeles School Police presence in our schools. One of those unions, the Los Angeles Police Management Association (LASPMA), which represents the sworn and non-sworn supervisors of the L.A. School Police Department, came out against the rally today. We wholeheartedly agree with their assertion that the divisiveness created by this rally is unnecessary and distracts from goals to provide safe, nurturing schools where all students have equal access to a quality education. 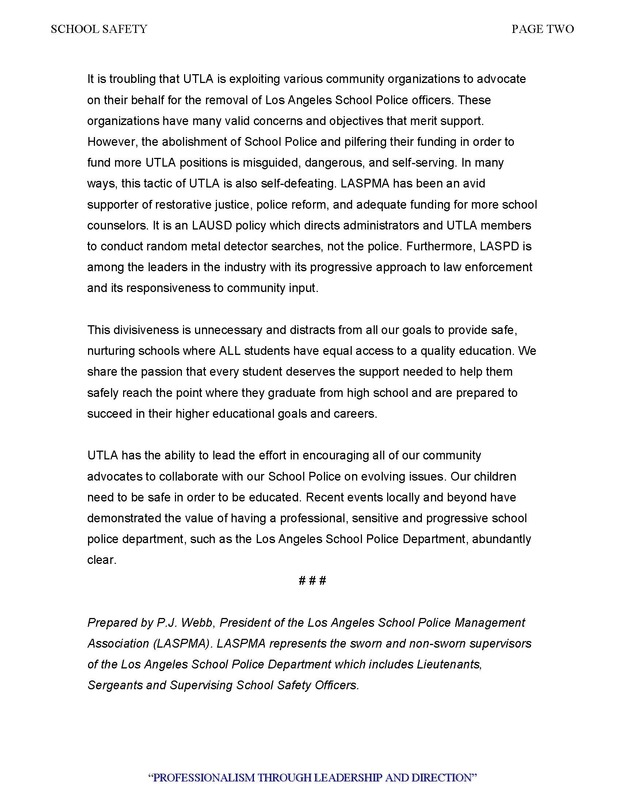 LAAPOA joins them in their opposition and in their urging UTLA to use their power and influence to collaborate with School Police to provide safe learning environments in our communities.